market and meeting place in ancient Roman towns in Italy and later in the provinces, corresponding to the Greek agora. By extension the word forum often indicates the meeting itself in modern usage. An open public meeting place for assembly surrounded by public buildings, or a marketplace in an ancient Greek city; the Roman forum is a typical example. The chief meeting place or marketplace in an ancient Greek city. Agora and its subsidiaries have been accused of crossing the line between aggressive salesmanship and deception. In addition to allowing thespians to share their work with the Beirut public, the closing forum is will provide a space for lab participants to address fundamental questions about theater practice and the public -- such as how laboratories like Agora can keep developing despite lack of national cultural policies, and how progressive thespians can bridge the gap between theory and practice. We want to jumpstart creative community involvement and provide a public space for it," said Reem Qassem, founder of Agora. Development of our Agora solution was the product of a cross-functional team comprising quantitative finance, mathematics, and software development experts. Agora in exchange has agreed to fund 70 percent of the costs of drilling an exploration well on the Conan prospect. 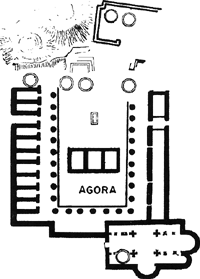 We found traces of such a temple during our excavations in the Agora. GAC Shipping has formed an alliance with Agora Worldwide Shipping Agencies to provide ship agency services throughout all major ports in Italy. EVEN AT A DISTANCE, THE 106 SCULPTURES comprising Magdalena Abakanowicz's Agora resemble a cluster of people. Reusing the conclusions of the five thematic workshops (resources, techniques, solidarity, economy and governance), the Agora presents recommendations. VideoJug - which claims to be the world's most popular video learning site - has begun its expansion into continental Europe following its first major international licensing deal with Polish media group Agora. Agora Partnerships era una organizacion privada sin fines de lucro cuya mision era lanzar y ayudar a crecer companias socialmente responsables en Nicaragua, y se fundo bajo la creencia clave de que el talento empresarial en America Latina se estaba malgastando cuando la asistencia y el financiamiento enfocado podrian trasformar una idea de negocio en una realidad exitosa. Agora Partnerships era una organizacion privada sin fines de lucro cuya mision era lanzar companias socialmente responsables en Nicaragua y ayudarlas a crecer, y se fundo bajo la creencia clave de que el talento empresarial en America Latina se estaba malgastando cuando la asistencia y el financiamiento enfocado podrian trasformar una idea de negocio en una realidad exitosa.